SERVES ALL LABORATORY TESTINGS ! our NANATECHNOLOGY PRODUCTS FOR AGROTECH MARKET ARE WELL SOUGHT FOR! 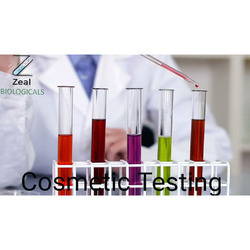 Our organization is offering an astonishing range of Microbiological Testing Service Offered an array of services is rendered using the latest technology. In addition to this, these are offered at pocket-friendly prices to attain optimum customer satisfaction. We are one of the trustworthy firms, involved in offering a wide gamut of Soil Testing Service to our clients. Our professionals work hard to provide this soil testing service within promised set of time span. While rendering these testing services, we utilize advanced technology in order to produce accurate results. Typically alloyed with varying levels of copper, manganese, silicon, zinc and magnesium, aluminum base alloys are most often used in aerospace, marine, automotive, cycling and engineering applications that require lightweight design and corrosion-resistant materials. 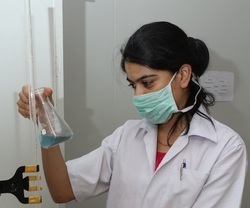 We are involved in presenting an exclusive range of Drinking Water Testing Service. We offer accurate results, taking utmost care of client’s needs. Apart from this, these services are available at pocket-friendly and reasonable prices with us. 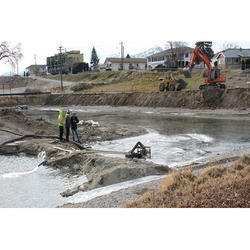 To furnish the requirements of clients, we are engaged in offering Waste Water Treatment Service. 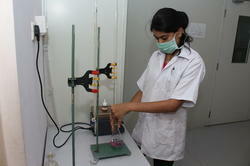 To offer best quality testing service, we are rendered it with following quality principles. Apart from this, we are offering this testing service range at the budget friendly market price. 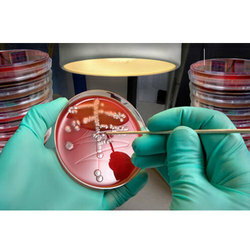 Our organization is involved in providing excellent Bacterial Testing Service, wherein we help to perform both standard and customized analytical Tests. 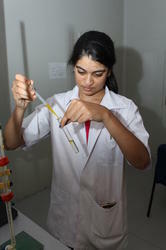 The standard or customized analytical tests conducted at our fully automated and computerized laboratory cover. 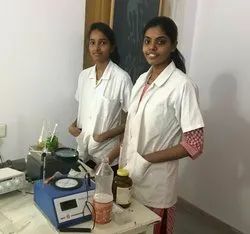 This test helps in determining the suitable ingredients of concrete and determining their relative amounts with the objective of producing a concrete of the required, strength, durability. Ultrasonic concrete testing¿¿is based on the pulse velocity method to provide information on the uniformity of concrete, cavities, cracks and defects. The pulse velocity in a material depends on its density and its elastic properties which in turn are related to the quality and the compressive strength of the concrete. Measuring the calcium chloride content of concrete is used to determine how dry the concrete is. This test is useful to tell if the concrete is ready for projects such as installing flooring on top of the concrete slab. 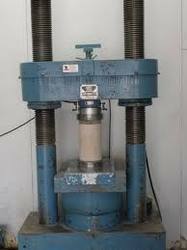 The chloride permeability of normal weight concrete subjected to static and repeated compressive loading was evaluated by using this test method. The test results indicated that the chloride permeability of concrete subjected to static and repeated loading increased at an increasing rate with its residual strain. The cube test is the test most commonly used for determining . The value of compressive strength can then be used to assess whether the batch that the concrete cube represents meets the required compressive strength. Carbon dioxide penetrates in the concrete pores. This penetration is more fast when concrete is more porous. 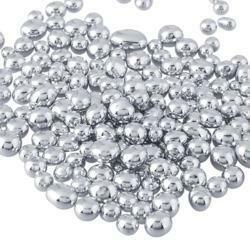 It can then react with cement and form carbonates. 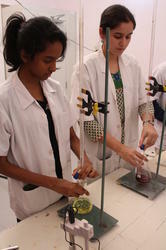 This reaction decreases the concrete Ph. So, carbonation starts on concrete surface, and concerns some thickness (called carbonation depth) of this material.Carbonation is a particularly important form of deterioration. Enough carbonation gives concrete the immediate positive effects of increased. Flexural Strength¿¿is the ability of a beam or slab to resist failure in bending. It is measured by loading un-reinforced 6x6 inch concrete beams with a span three times the depth (usually 18 in.). Concrete durability is related to porosity, which determines the intensity of interactions of the material with aggressive agents. The pores and capillaries inside the structure facilitate the destructive processes that generally begin in the surface. Generally, concrete of a low porosity will afford better protection to reinforcement within it than concrete of high porosity. Measuring the Sulphate content of concrete is used to check that the Sulphate levels are low enough to avoid any later problems with deterioration of the concrete. 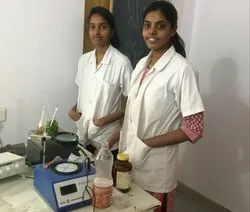 This test helps in determining the rate of absorption of water by cement concrete by measuring the increase in the mass of a specimen resulting from absorption of water as a function of time when only one surface of the specimen is exposed to water. Water penetration used to measure the surface hardness and hence the strength of the surface and near surface layers of the concrete. 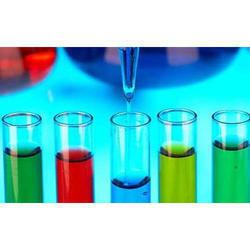 We are instrumental in offering a comprehensive range of Chemical Testing Service. These are rendered by our professionals according to the client’s demands. Also, offered services are much admired due to their perfect execution, accurate results, and client-focused approach. 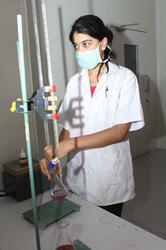 Our Company is the well-known name in the industry for offering the best quality Construction Water Testing Service. Executed under the assistance of experienced team members, these services are commended in the market. While rendering these testing services, we utilize advanced technicians in order to enhance special emphasis on superior quality. Food testing services includes microbiology to test for pathogens like Salmonella, E.coli, Campylobacter and Listeria, as well as spoilage organisms such as Yeasts and Moulds, underpinned by our expert shelf life testing service. Food-borne microorganisms may cause spoilage of foods, or after ingestion may cause disease of the consumer by infection or intoxication.